A neurodegenerative disorder which effects the movement of the person is known as Parkinson's diseases. In this particular disorder, there is deterioration of motor function due to lack of dopamine producing brain cells which effect the movement of the person. The symptoms are progressive in nature and eventually the person becomes dependent on others for all the activities in the life as his body is unable to perform any function due to lack of movement. This problem cannot be diagnosed at the initial stage as there are no significant symptoms and person don't even know that he is suffering from any kind of this problem. This stage requires assistance. The person needs help in walking and doing other activities. 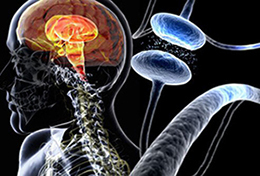 HOW TO DIAGNOSE PARKINSON SYNDROME? As of now, there is no special way to diagnose this particular problem in the initial stage due to similarities of symptoms with other movement disorders. A neurologist can diagnose this problem on the basis of patient’s medical history and symptoms. These are some test in which scales are used to measure mental capacity, behavior mood, daily living activities and motor function. This measurement is considered helpful in checking the progression of the symptoms. Till today, there is no treatment found for curing this particular disorder. However some therapies are there which can delay the symptoms for some time. These therapies increase the amount of dopamine in the brain either by substituting dopamine or prolong the effect of dopamine by inhibiting its breakdown. Another way is implanting the electrodes inside the brain to simulate the areas of the brain involved in motor functioning. It is known as deep brain stimulation. These treatment methods can only subside the symptoms for some time and there is no permanent cure. But as we know the fact that to every problem there is some solution. Similarly to this very problem there is another treatment method which has never been introduced before. 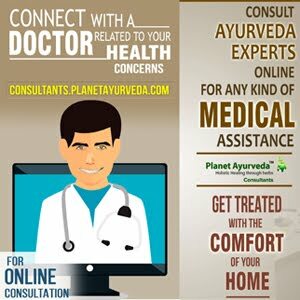 This treatment method is formulated by Dr. Vikram Chauhan, founder of Planet Ayurveda using natural herbs and herb extracts. 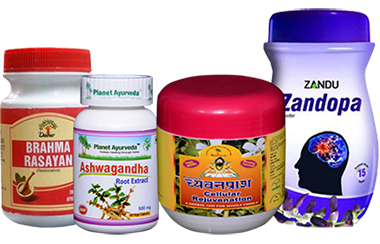 These herbal remedies are formulated in such a way so as to decrease the symptoms and to cut the problem from its roots. Let's discuss in detail about the benefits of these herbal remedies and the herbs that are used to in the formulation of these particular herbal remedies. This herbal remedy is manufactured using various herbs that have properties to combat with brain related problems. This herbal remedy is considered as one of the great stress buster and also helps to get rid of fatigue. This herbal remedy also provides strength to immune system and improves intelligence and memory. These capsules are formulated using the herb known as Ashwagandha (Withania somnifera). This herb is known to normalize the functions of neuroendocrine system. This is a jam like herbal remedy that is formulated with a blend of brahmi and amla. This herbal remedy is chemical free and has no side effects. Brahmi helps to control symptoms such as fatigue, depression, stress, nausea, dizziness, chest pain, rapid heartbeat. Amla has natural anti- inflammatory properties that rejuvenate the cells and increases concentration power and immunity. It also cures other symptoms of Parkinson diseases such as lack of memory, fatigue and palpitations. This herbal remedy is considered a good source of L-dopa (levodopa). This herbal remedy helps the patient to live an active life for many years and helps to control the symptoms for prolonged period. This medicine should be stored in cool and dry place, protected from light, and the container should be tightly closed. This medicine reduces the symptoms such as rapid jerking movement of the limbs and muscle stiffness. 1-2 teaspoon with milk after breakfast. 2 capsules two times a day with plain water. 2-3 teaspoon, two to three times daily with plain water after meals. 1 teaspoon, two times daily after meal. The above dosage is recommended for the patient suffering from this particular problem. It is also suggested to take high fiber diet and consume plenty of water. Coconut water is considered good also include spinach, carrot, radish, papaya, apples and pear in the diet. Avoid consumption of alcohol and cigarette smoking. Junk and spicy food is to be avoided strictly. Stress is the root cause of every problem so; it is suggested to avoid stress and to include physical activities or meditation in daily routine. Vegetables such as bottle guard, bitter melons, round guard, pumpkin should be included in the diet.